Great Lakes Brewing is well established in Ohio and has expanded distribution outside of the state, attracting new followers. 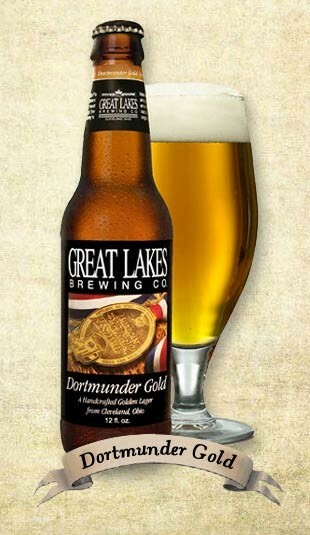 The brewery regularly wins medals at the Great American Beer Festival and from the World Beer Championships. 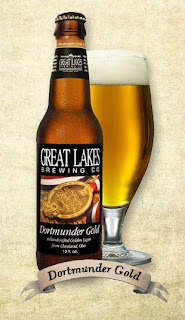 Great Lakes Dortmunder Gold Lager is a 5.8 percent alcohol by volume beer with a burnt golden color and a fluffy white head. The beer has a good malt base thanks to the Harrington and Caramel 60 used in the production, with cleansing hop characteristics that keep it fresh on your palate. The classic noble Hallertau hop is present, with support from Cascade, producing 30 IBUs. A nice sturdy lager. Thanks be to Great Lakes Brewing Co.